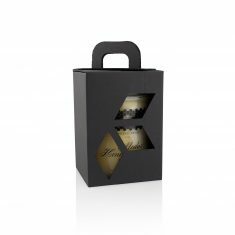 It is often difficult to find the right gift for corporate clients, friends or colleagues. 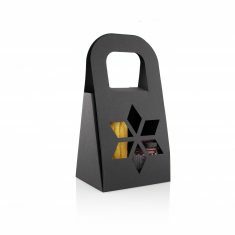 The goal is to find something nice, meaningful, and compact, and at the same time, practical. 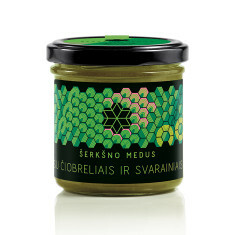 Giving honey as a gift is a way of saying thank you with a gift from nature, while showing sincerity and gratefulness. 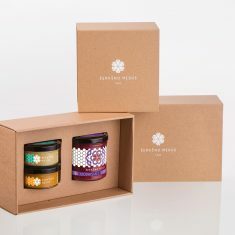 A great deal of attention has been paid to not only the quality of our honey, but also packaging esthetics. 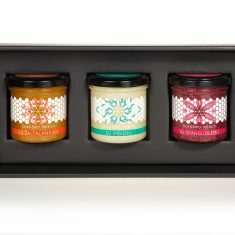 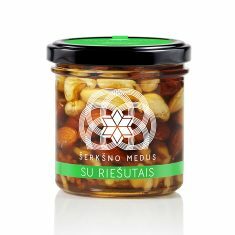 The detail on the exterior of the product reflects upon the care that went into making the contents of the product. 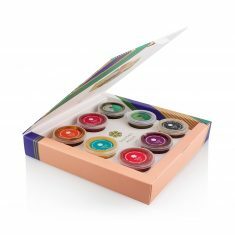 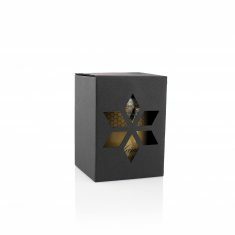 Our glass packaging doesn’t require additional wrapping, as it is colorful, decorative and ready to be presented. 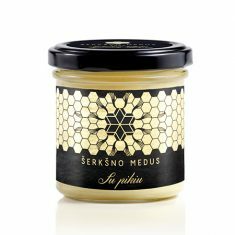 By giving a Šerkšno Honey product, your gift will be well-remembered and appreciated! 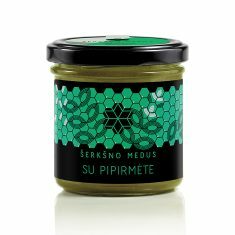 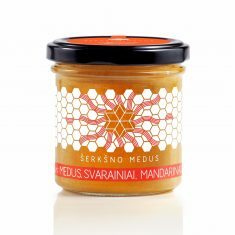 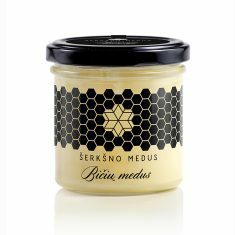 (LT) Medus su svarainiais ir mandarinais, 200 g.
(LT) Medus su pipirmėte, 200 g.
(LT) Medus su čiobreliais ir svarainiais, 200 g.
Honey with propolis, 200 g.
Honey with bee bread, 200 g.
Honey with bee pollen, 200 g.